Don’t call Drew Holcomb a homebody. He’s a road warrior, playing more than 200 shows a year with his folk-rock band, Drew Holcomb & the Neighbors. Every rootsy songwriter needs to know his roots, though, and Holcomb’s roots are in Tennessee. Lately, he’s been thinking a lot about that place. 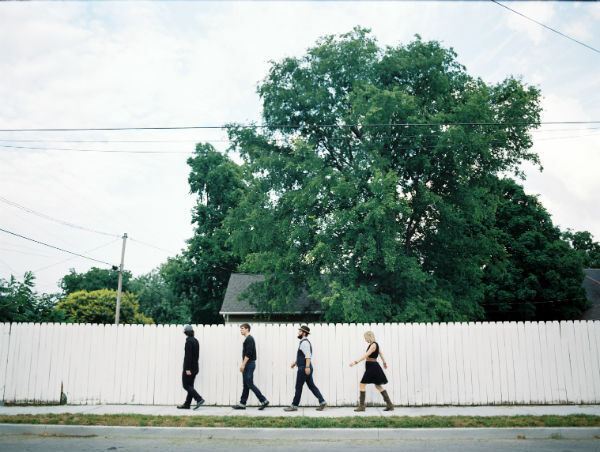 Good Light, the band’s third album, tips a hat to Holcomb’s home. The songs were recorded at Ardent Studios in Memphis, where heavyweights like James Taylor, the Allman Brothers and Bob Dylan once recorded their own classics. A similar thread runs throughout Good Light, which mixes full-throttle Americana music with an introspective singer/songwriter approach. It sounds like the South. It sounds like Tennessee. You’ll have to wait until February 26 to hear the rest of Good Light, but you can listen to an acoustic performance of “Tennessee” here. Recorded live in Holcomb’s living room, it feels like a mission statement for the entire album.